What exactly are the costs of a new roof in Wayne County NY and how can you get a roofing estimate in Walworth NY with a detailed breakdown of the roofing services and materials you are buying? That is a tough question to answer. A lot will depend on the asphalt shingles and underlayments you choose and how many squares of material will be necessary to complete your roof job. Whether you have a roof leak in Walworth NY or need a roof repair in Webster NY, the cost of asphalt roofing continues to rise daily. Years ago America had access to cheap raw materials and this was great news for the residential roofing industry. But as years have gone by oil prices have risen and demand has caused the importing of raw materials to be a necessity. Every time oil prices increase so do asphalt shingles prices. The cost of raw materials, production, research and development, and trucking has all gone up and there is really no end in sight. That’s why putting off calling a roofing contractor in Wayne County NY makes no sense. Not only are you risking interior and structural damage as well as mold but waiting will only increase the overall cost of roofing materials and labor. Call the pros at RFS today! Our roofing company in Wayne County NY has been helping homeowners for over 30 years. We are family owned and operated and never use subcontractors. Our in house installers are factory trained and certified, allowing us to provide our clients with one of the most comprehensive Lifetime Roofing Warranties. All of our roofing systems are also backed by our personal workmanship guarantee. Our owner Ron Ferris Jr will meet with you directly to discuss your new roof in Macedon NY and all of your residential or commercial roofing options. We are fully insured for roofing and have an A+ rating with the BBB. Find us on Angieslist and see why so many people have voted us as one of the greater Rochester areas top service providers for roofing Rochester NY. To make sure our client’s new roof complied with all roofing manufacturers warranty requirements. We enjoy roofing in Rochester NY because the homes are absolutely beautiful. The client’s home had 3 existing layers of roofing over a plywood deck so we performed a complete roofing tear off, so we could make sure all decking and roof flashing were acceptable befor installing a new roof. Our Rochester NY roofing company came highly recommended by the Certainteed shingle manufacturing company as one of the best roofers in Irondequoit. Our team members are all subjected to a comprehensive test as well as on the job training to become Master Shingle Applicators. This is one of the highest credentials available to roofing installers nationwide. The owners and installers of our roofing company take great pride in the products we sell and install. Your home is a huge investment and the roof is the most important part. It protects everything so why trust it to any one but the best? Why trust it to anyone but the pros at RFS? Hire a roofer who will install a high quality roofing system that will quietly protect everything inside your property from water damage. Hire RFS today! To learn more about roofing Rochester NY or request a free roofing estimate call us today @ 288-0895 or visit us online at ronferrisandsonroofing.com. Winter roofing Penfield NY has always been a tough challenge during the cold winter season. At RFS we do our best to be prepared to make sure we are there when our clients need our roofing services in Rochester NY the most. Most people don’t think you can perform a quality roofing installation in Webster NY but that is untrue. Today shingles are constructed on fiberglass matting and saturated asphalt is mixed with lime dust, not stone dust making today’s shingles more pliable. This allows for installation of a new roof in Victor, NY even in the coldest winter months. We do not recommend the use of pneumatic roofing nail guns when temperatures reach below 40 degrees Fahrenheit. The roofing materials in Rochester, NY may not seal properly until spring, so we hand nail 6 nails per shingle. This is commonly referred to as “storm nailing” and will prevent any wind damage from occurring until the shingles can properly seal. You can rest assure that once we start a new roof in Brighton, NY we stay until it is completed, even during the winter. Sometimes it may be necessary for our roofing contractor Penfield, NY to return in the spring when the snow is clear to make we got any roofing nails hidden in the snow. At RFS our roofing installers are factory trained and certified and we have over 30 years experience roofing through the hardest Rochester, NY winters and ice storms. Our clients are very important to us especially during the winter months when snow and ice cause roof leaks Rochester, NY. We do offer roof shoveling services in Rochester, NY which greatly reduce your risk of water damage. Protect your home and call the pros today @ RFS. For more info on Rochester winter roofing call us @ (585) 288-0895 or request a free roof estimate @ ronferrisandsonroofing.com. Roofing contractor in Pittsford NY, RFS offers a lifetime warranty on all complete Integrity Roofing Systems. To qualify our Webster NY roofing company must perform a complete roofing tear off to ensure an acceptable decking and roof flashing are present. Adequate roofing ventilation is also required to meet roofing shingle manufacturer warranty standards. To make sure your project meets these requirements we install both soffit vents and Shinglevent 2 ridgevents for proper air flow. RFS uses Certainteed brand roofing materials which are the best in the world and offer the strongest guarantees. 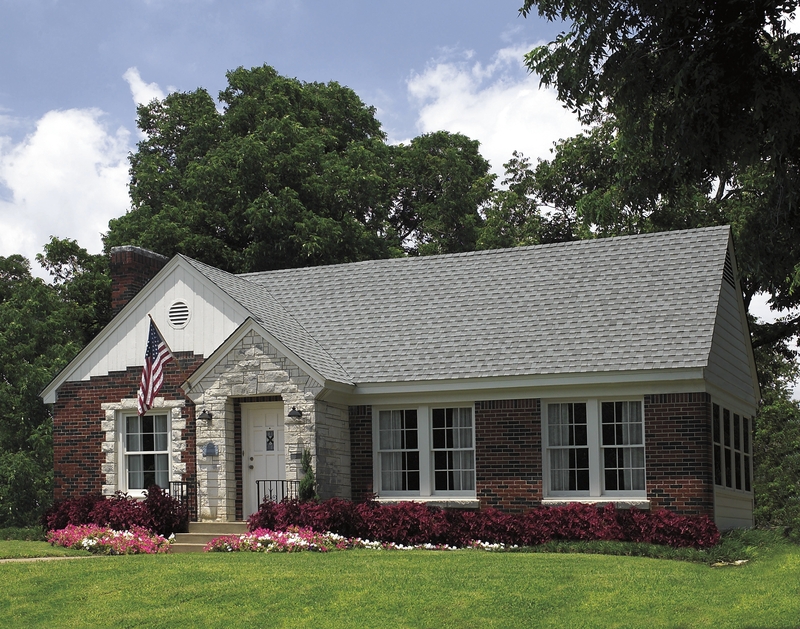 Certainteed asphalt roofing shingles are engineered to better protect your investment. 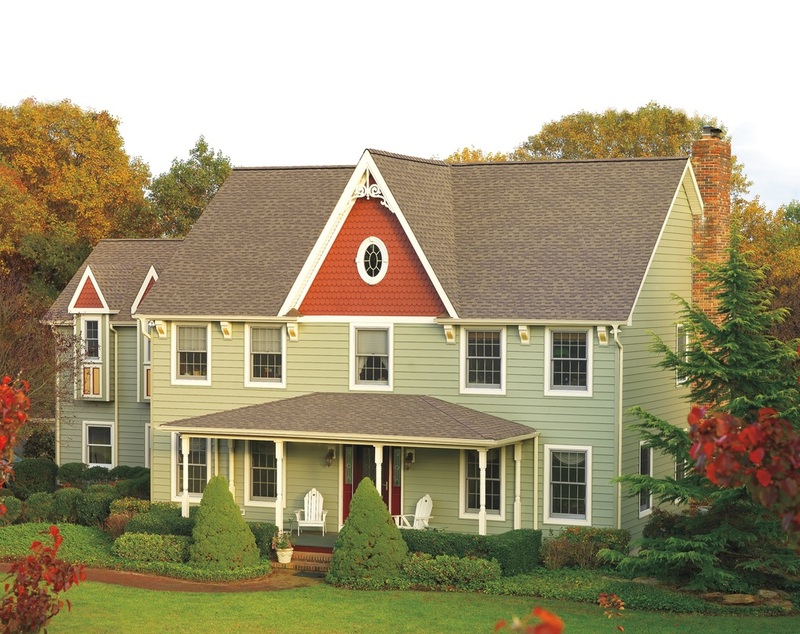 In 2010 Certainteed upgraded the warranty on its 30 year architectural roofing shingles. As a credentialed Shingle Master Company we can actually offer our clients a non prorated 50 year warranty these Certainteed Landmark laminate shingles. This is great news for homeowners in search of roofing Rochester NY. Imagine not having to worry about your new roof in Penfield NY for decades to come. 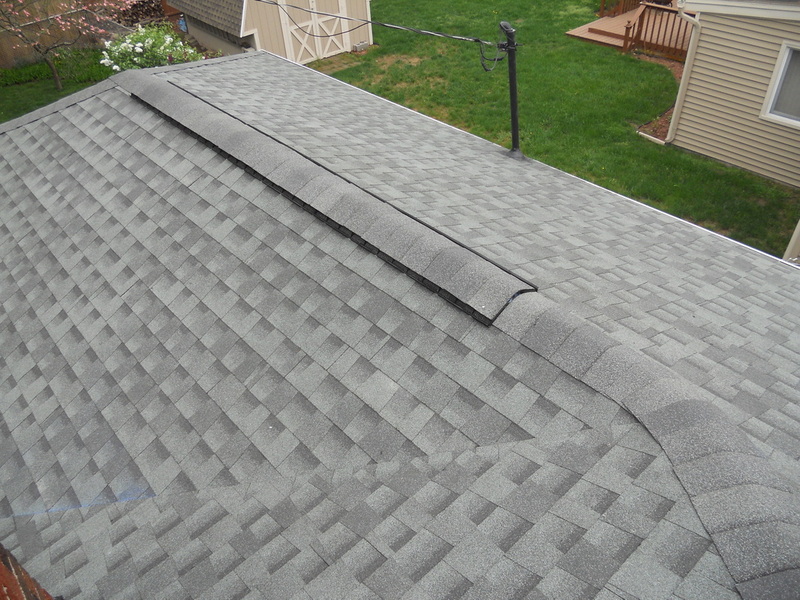 As part of our Integrity Roofing System we cover all roofing eaves and valleys with ice and water shield. We also match your roofing drip edge metal to your new roofing shingles and paint all pipe flashings to correspond with your new roof. We always go the extra step as the best roofer Rochester NY to make sure your new roof looks great! With thousands of satisfied customers for over 30 years and extensive residential roofing knowledge, we present our clients with only the best roofing services Fairport NY has to offer. We will take care of everything. If you are ready for a roof replacement in Rochester NY or want to know ” how much does a new roof cost” call the roofing pros today at 585-288-0895 or visit our main site and request a free roofing estimate online at ronferrisandsonroofing.com. How much does a new roof cost in Rochester NY? Installing a new roof in Rochester NY in 2014 can be a significant expense and is not a home improvement project to be taken lightly. The size of the roofing project and the desired roofing materials to be used will be the key contributors in forming a budget for your new roof. Other factors that can increase costs are deteriorated roof decking, molded roof decking and soffit or fascia repairs and replacement. This is common when roofs are let go too long past their life expectancy or a leak has persisted for a long period of time. This can not only endanger the structural integrity of your home but also the curb appeal and market value. Now that we have identified our need for a new roof and evaluated the roof decking for replacement lets start to break down some of the factors your Rochester NY roofing contractor will consider when preparing a roofing estimate. These are just the bare basics and many other things can come into play when properly installing a lifetime roofing system that will last for decades. Another important aspect that is all too commonly overlooked when replacing an old roof is adequate roofing ventilation. The your soffits and roof MUST be vented to promote cooler more consistent roof decking temperatures. This will make your new roofing system last longer and help prevent ice damming in Rochester NY. It is also mandatory if your new roof is to comply with any roofing manufacturer warranties. If it is not possible to install soffit vents than you may want to consider an active system like a power fan which actively pulls air from attic spaces. As you can see the specifics of a roofing estimate can quickly become overwhelming. That is why it is impossible to estimate how much anew roof will cost without evaluating your specific need and project. Your best bet is to call the pros at RFS today! Our owner Ron Ferris Jr will meet with you for a free roofing estimate. Our Rochester NY roofing company can assess your needs and perform a roof repair or roofing tear off if necessary. Call the pros today at 585-288-0895 or request your free roofing estimate online at ronferrisandsonroofing.com. Since Ron Ferris Jr. started installing seamless gutters in Rochester NY over 30 years ago, he has seen a lot of so called gutter guards come and go. After installing and uninstalling dozens of different style seamless gutter guards we have yet to find a product that can begins to parallel RHINO GUTTER GUARDS. Rhino gutter guards were designed and developed to offer homeowners an affordable yet reliable gutter guard system that can fit into anyone’s budget. The seamless gutters on your home were designed to shed water from your roofing Rochester NY and direct the water away from exterior walls, landscaping and your foundation. Unprotected gutters and downspouts (especially in the Fall when leaves and debris are worst) can quickly become clogged and water overflows in all the wrong places. However, when a Rhino gutter guard system is properly installed by an authorized dealer/ installer like RFS, debris and leaf collection is eliminated and your seamless gutters and downspouts are allowed to function as they were designed to. Rhino gutter guard is a high quality product with strength and durability built into every piece. It can withstand the heaviest rainfalls while still preventing even the smallest pieces of debris from entering your gutter system. The stainless steel mesh and strong aluminum body not only shed water and debris, they strengthen the entire gutter once installed. A Rhino gutter guard system installed by RFS provides the protection you need at a price point you can afford! It is manufactured right here in the USA and comes with a 20year clog free warranty when properly installed by an authorized dealer. This system will withstand tremendous amounts of water, debris, asphalt roofing shingle granual , leaves, pine needles, etc. If the cost of a gutter guard system is beyond your current budget you can sign up on our annual or biannual roof maintenance Rochester NY program to keep your seamless gutters cleaned. To find out more about Rhino gutter guards and gutter cleaning Rochester NY, call the pros today at RFS at 585-288-0895. Our owner Ron Ferris Jr. will meet with you personally and together we can form a plan that best suits your individual needs and budget. Make sure to check out our main site online at ronferrisandsonroofing.com to see a complete list and description of our roofing services offered by our Rochester NY roofing company and request your free roofing estimate online!